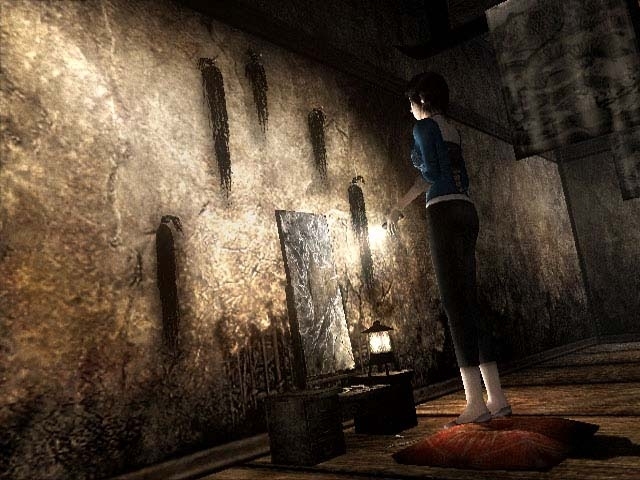 Girls visiting sinister Japanese buildings at night continues to be a successful formula for this series, though to be fair Fatal Frame III does have some new tricks up its sleeve. Fatal Frame III is subtitled “The Tormented.” I don’t understand why games have subtitles; it seems like the name of the franchise and the number of the series should be enough. In any case, “The Tormented” is a terrible subtitle for this game because it contains very little actual tormenting, either of the player or the player characters. 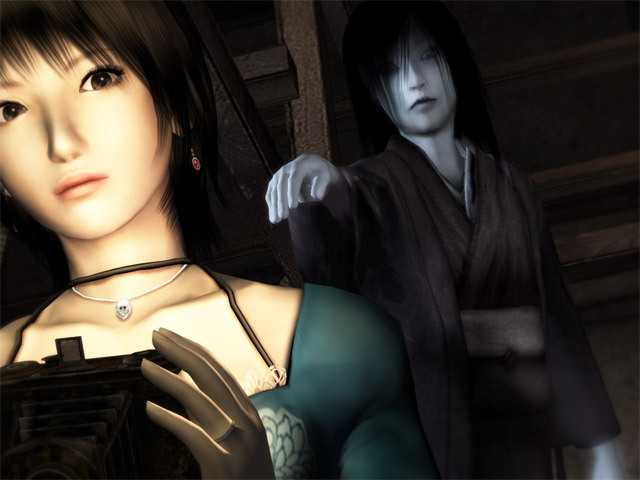 Like the previous two games in the series, Fatal Frame III is about girls stuck in scary old Japanese buildings fighting off ghosts with an antique camera. Tecmo’s classic brew of vulnerable protagonists and dilapidated Japanese mansions is as potent as ever, even though some of the content has been lifted wholesale from the previous titles. Temco has also tried to make some changes to the formula, with mixed results. But generally, Fatal Frame III is a competent horror game and an excellent addition to the series. For this iteration, the Project Zero team has changed the context up a bit. Instead of a single character exploring an ancient Japanese home or village, several characters are playable in different, interlocking locales. The main protagonist, Rei, visits the sinister “Mansion of Sleep” every night in her dreams, but during the day you have the opportunity to move her around her regular home. She eventually begins to experience other people’s dreams, which is how the game allows the player to play as different people. During the day, Rei can develop film that she took in her dream, investigate the history of the spooky mansion, save the game, and review other information about the story that she has collected. At night, Rei travels to the Mansion of Sleep, and each night she is able to dig a little deeper into its maze-like depths. As other characters are introduced, new sections from the mansion are revealed and unlocked. If you’ve played the first two Fatal Frame games, you’ll recognize some of the sections as ares from those two games. In fact, the protagonist from the first game, Miku, is one of the playable characters. The separation of the day world and the dream world is really well done, and it allows the developers to give the player a breather without including Resident Evil-style safe rooms. 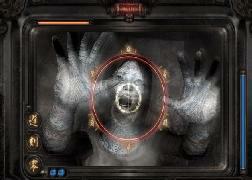 Later in the game, the horror of the dream world begins to infect the regular world, which is a startling and extremely effective way to scare the player. The fear factor in this game is also very high during the mansion sections. The mansion is claustrophobic and oppressive, and seems far more unsettling than the previous games. The amazingly well-done music and visuals really help sell the experience, and when playing the game I marveled at the degree of queasiness it was able to produce in me. I haven’t felt like that since the underground prison section in Silent Hill 2. The addition of multiple playable characters isn’t quite as smooth, but it’s still pretty cool. The problem is that there’s no real difference between most of the characters. 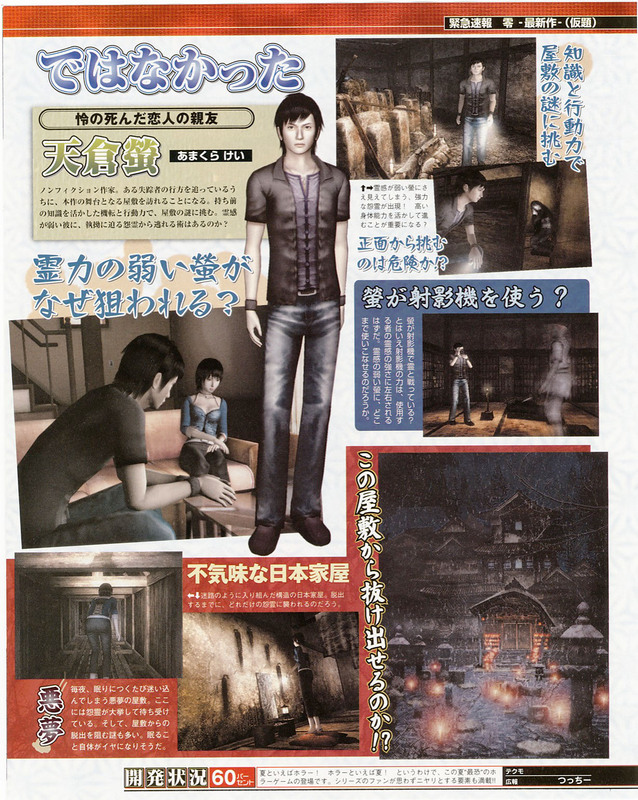 One of the characters, Kei (the first playable male in the series), has the ability to hide from ghosts, and his camera works slightly differently than the others, but these changes do not improve the game. If anything, the inconsistent camera rules make combat with that character annoyingly difficult. The other problem with the multiple-character approach is that while all three characters add to the same score pool, each of their cameras must be upgraded independently. Since you have to spend score to upgrade a camera, it is pretty easy to max out one character while neglecting the others. There is also some weirdness when it comes to camera upgrades and items: some upgrades apply to all three characters, while others are character-specific. Fatal Frame III is a lot longer than its predecessors. I finished in about 15 hours, which is pretty long considering that the previous games clocked in at under 10 hours. In fact, the title may be a little too long: once all of the mansion has been uncovered, the game sort of degrades into a shortest-path problem, with few story events or fights in between. Towards the end of the game the developers add in a sort of time limit, which makes traversal of the map more arduous and is generally annoying. I think it would have been a tighter experience if they cut the playtime down a little bit. The game only has one major flaw. There are a couple of other minor flaws (the control scheme is beginning to feel a bit long in the tooth, I wished that there were more interesting camera upgrades, and there are a couple of enemies that you have to beat over and over again), but the only huge problem I had with the game was the boss fight. I ranted about this problem already, so I won’t go into it here. Suffice to say that the end boss is so poorly designed that I almost gave up on the game instead of finishing it. The story in Fatal Frame III is ok. Like previous Tecmo stories, it’s a little less trite than other video game franchises but still fairly trite all the same. It doesn’t really matter: the visuals and characters sell the experience on their own, so the story isn’t all that important to the experience. As usual, the rest of the production is top notch: the visuals are astounding and the audio in particular stands out. 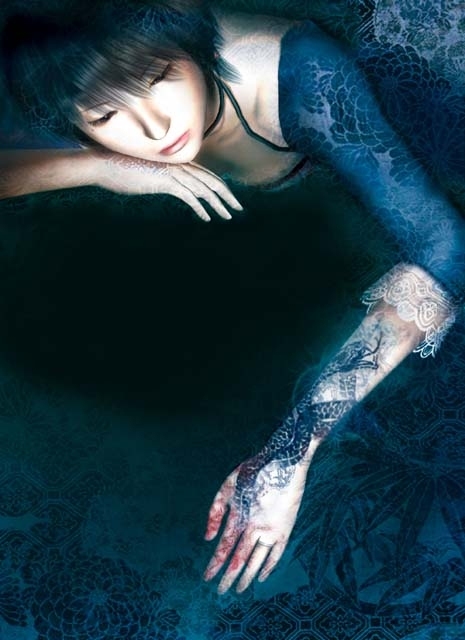 All in all, I liked Fatal Frame III better than most of the other critics. Though the game play is still a bit simplistic, and even though the end boss fight made me want to throw my controller through the screen of my TV, the game still ranks in the top tier of horror games. The concept remains unique and fun, and there’s really nothing about the presentation that can be complained about. And perhaps most importantly, Fatal Frame III is pretty damn scary. While not a masterpiece, I think that Tecmo has done quite well with the third installment of this series.